The proposals include adding 18 positions, raising workers' pay and reducing the emphasis on family reunification, but the overall cost of the reforms remains unclear. 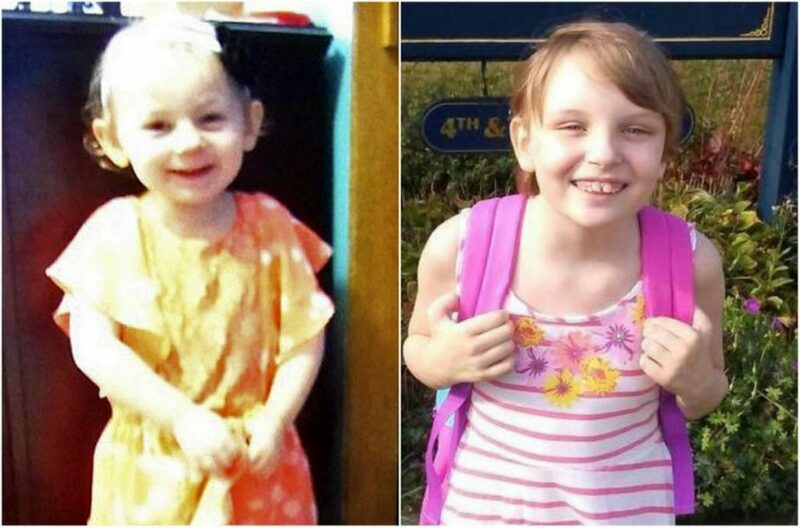 The deaths of Kendall Chick, 4, left, and Marissa Kennedy, 10, have spurred calls to reform the state’s child-protection system. Gov. Paul LePage has sent five bills to the Legislature that would dramatically overhaul a child protection system that has been under investigation for months after two high-profile deaths. The most wide-ranging bill has not been printed yet, but an overview provided Wednesday by the Department of Health and Human Services revealed that it seeks to do the following: replace the agency’s outdated information system, increase the reimbursement rate for foster families, add 18 new supervisory positions, raise the pay of existing workers, expand training opportunities and create a new job classification, child welfare investigator, that would be tasked with more aggressively pursuing reports of abuse and neglect. State officials did not provide an estimated cost associated with the bill, nor did they say where the money would come from. That legislation and four other bills have been scheduled for public hearings before the Legislature’s Health and Human Services Committee on Monday, ahead of the full Legislature’s expected return next Thursday. Acting DHHS Director Bethany Hamm said in a prepared statement that the bills are just the first phase of reforms. Maine’s child protection system has been under intense scrutiny since the deaths of two girls, 4-year-old Kendall Chick in Wiscasset last December and 10-year-old Marissa Kennedy in Stockton Springs in February. The deaths prompted an internal investigation by DHHS that already has led to some changes and two external probes by the Legislature’s Office of Program Evaluation and Government Accountability, one of which is still ongoing. More recently, caseworkers have stepped forward to express a host of concerns, particularly the need for a reduction in caseloads, which were heavy even before the deaths of Chick and Kennedy and have only gotten worse since. Last week, the union representing caseworkers sent a letter to the governor outlining suggested improvements. Some of those suggestions, such as updating the information systems, overlapped with the governor’s bills. Others, such as adding more front-line staff, did not. The Maine State Employees Association said in a statement Wednesday that caseworkers and aides were “actively evaluating” LePage’s bills to see how they address the caseworkers’ recommendations, particularly a reduction in their caseloads, more administrative support staff and more functional technology. “The workers look forward to sharing both their concerns and their recommendations at Monday’s hearing before the Maine Legislature’s Committee on Health and Human Services,” the union said. In addition to the sweeping bill to overhaul the child protection agency, the governor has proposed four additional, more specific pieces of legislation. The first bill would make it a Class E crime for so-called mandated reporters to fail to report suspected abuse or neglect. Currently, mandated reporters face civil charges for failing to report. The third bill would authorize DHHS to access public and confidential criminal history records for the purposes of investigating possible abuse or neglect. The substance of those three bills suggests that mandated reporting, expunged records and an inability to access some criminal records may have played a role in the deaths of Chick or Kennedy, or both. Aside from the funding bill, the fourth bill would seem to have the biggest impact because it could fundamentally change how caseworkers do their jobs. Already, caseworkers have said there has been increased pressure to remove more children from homes and to give less priority to family reunification. That has, in turn, put a strain on the foster care system, which also has been neglected. An initial OPEGA investigation of the two girls’ deaths – which concluded in May – found DHHS workers did not follow policies and did not share information at key times. However, that investigation was severely limited because of the two criminal cases. Shawna Gatto, the fiancée of Chick’s paternal grandfather, awaits trial on a charge of depraved indifference murder in the girl’s death. Sharon Carrillo and Julio Carrillo, Kennedy’s mother and stepfather, also have been charged with depraved indifference murder. A deeper, systemic look at child protective services by OPEGA continues. Adding new positions has been a big part of the ongoing debate, but there has been no clear consensus. In early July, former DHHS Commissioner Ricker Hamilton said the department would call for 75 new positions. But a month later, LePage reversed that position and said he would not ask for more money for new jobs during the current legislative session. The governor appears to have reversed course again with the inclusion of 18 new jobs in his latest bill, although those are described as supervisory jobs, not front-line caseworker positions. Rep. Patty Hymanson, the Democratic chair of the Health and Human Services Committee, said she was still reviewing the draft legislation and is eager to hear Monday from members of the public.